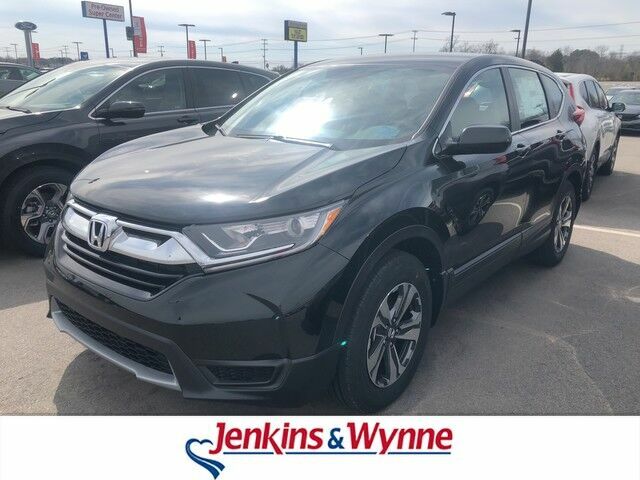 This outstanding example of a 2019 Honda CR-V LX is offered by Jenkins & Wynne. This Honda includes: BLACK, CLOTH SEAT TRIM Vinyl Seats Cloth Seats Leather Seats Premium Synthetic Seats *Note - For third party subscriptions or services, please contact the dealer for more information. * Want more room? Want more style? This Honda CR-V is the vehicle for you. Start enjoying more time in your new ride and less time at the gas station with this 2019 Honda CR-V. Marked by excellent quality and features with unmistakable refined leather interior that added value and class to the Honda CR-V Although every reasonable effort has been made to ensure the accuracy of the information contained on this window sticker, absolute accuracy cannot be guaranteed. Vehicle information is based off standard equipment and may vary from vehicle to vehicle. The prices are subject to change. Price does not include applicable tax, title, license, and doc fee.